With Christmas approaching, users will now be able to enjoy the latest 2D/3D movies, videos, music on their latest Smartphones, Tablets, TVs and more. Pavtube Studio rolled out 2016 Christmas Special Deals with Giveaways, Free and Up to 66% discount coupons to help users get all these special moments alive forever in various forms. In the future, and that we can relive the magic moments of impressive Christmas memories. With the large number of people using their mobile phones and tablets to consume media, there was the need for a software to be able to watch 2D/3D Blu-rays, DVDs, iTunes/Amazon videos and various HD Videos on these devices with multi-track, 3D effects, etc. With one in three people now a regular user of a tablet in the UK, according to eMarketer, and 67% of the US using smartphones according to Nielsen, a large proportion of people are using tablets and smartphones to consume media while commuting and at home. Pavtube Software helps users meet their needs in various ways below, no matter it concerns Christmas Blu-ray, DVD backup or video conversion with edition tools of watermarks/text, cut, merge, mix etc. Users can therefore upload their converted files to Vimeo, YouTube, or distribute to others by Hightail, or edit again to watch final files on iPad Air, Surface 2 etc. – What if the original directory structure from the camera is destroyed and cannot be edited by FCP? Pavtube Video Converter tools will help users for data recovery. 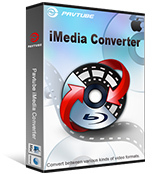 For example, Pavtube MTS Converter for Mac helps convert destroyed MTS 60fps files to ProRes 422 for FCP to edit, AIC MOV for iMovie, DNxHD MOV for Avid Studio, etc. – Troubled with naughty kids throwing Christmas newly released movie discs into air for play? Why not to build a library of one’s own Blu-ray/DVD discs? Pavtube Blu-ray and DVD Ripper help movie fans to backup movies so that users can put their BD/DVD collection on home server for streaming to TV/iPad/android tablets, without dealing with discs one by one slowly and blindly anymore. – Isn’t it lonely and boring when occupied by housework, mowing the lawn, blowing leaves and shoveling snow for the big yard for hours, or cooking in the kitchen etc, with no sound around? Isn’t it fantastic if to put a fanny pack around the waist with Kindle Fire in it during housework, listening to favorite movies or music over and over again? 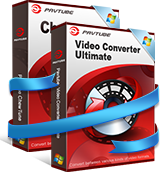 Such need can be easily satisfied by Pavtube Converter tools with 2-3 clicks only. – Isn’t it fabulous when camping with 12V smart TV to watch backup movies on it or keeping sanity with backup movies to watch on iPad Air etc when traveling by plane? Pavtube Blu-ray and DVD Ripping tools help convert Blu-ray/DVD discs with Cuda Acceleration for uses to convert with fast speed, adding full support for iPad Air, iPad Pro, iPad Mini 4, iPhone 7 & 7 Plus, Kindle Fire HDX, Nexus 9, Galaxy Note 7/Note 7 Edge, etc, made compatible with latest Mac OS X 10.12 Sierra. Christmas Best Sellers: Please login Pavtube for details. Founded in the year of 2007, Pavtube is relatively young but it never lacks passion and creativity as well as hard working. They create expert multimedia software applications that help consumers simply access, transfer and share their digital contents across different devices that range from PC, Mac, tablets, smart phones, to HD media players, game consoles, and home theaters.